Possibility to spend the night at Riyadh airport (RUH), if open 24 hours. Services available, places to rest (free resting zones), or look for the list of nearby hotels and vip lounges..
Riyadh airport is a large place, and although it is open 24 hours a day, it is not one of the most comfortable for spending the night. Where to rest: The offer is minimal, but you can find some reclinable chairs next to the boarding gates and the duty-free stores. 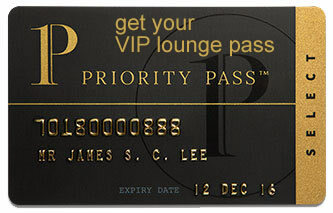 Another option is to enter one of the VIP lounges, which open 24 hours a day. However, keep in mind that they can have a maximum stay (4-6 hours). SEE VIP LOUNGES If the passenger finally decides to go to a hotel, there is one situated next to the airport. Baggage: There are no luggage storage offices. This means you will have to keep your bags with you until check-in time. Eating and drinking: Available options inside the terminals close at night. Restrooms: Showers are available inside some of the VIP lounges. Wi-Fi: Free service in some of the coffee shops. Next to the airport is situated the Makarem Riyadh Hotel (Tel +966 112 204 500). Most hotels in the vicinity provide courtesy shuttles for the transfer of their guests. Meral Crown Hotel (Tel +966 114 001 777), Holiday Inn Riyadh - Izdihar (Tel +966 114 815 858), Mercure Value Riyadh (Tel +966 112 773 300), Madareem Crown Hotel (Tel +966 112 758 888), Lunar Resort (Tel +966 558 306 010), Aljawhrah Resorts (Tel +966 547 361 111), Toot Resort (Tel +966 500 569 139), Al Asdaf Chalets (Tel +966 537 717 222), Muon Hotel Suites (Tel +966 559 063 170).